By ordering flowers through Direct2Florist you can rest assured that you'll receive the best flowers at the best price, wherever in the world you're sending flowers to. Here's a selection of just some of the benefits you'll enjoy from Direct2Florist. Whatever we buy, we all like to know that our hard-earned dollars are well spent. With Direct2Florist, as our name suggests, you're ordering directly from local florists, meaning you'll get bigger, better bouquets, every time. How do we know that? It's because, unlike our rivals, we don't take a commission when you order through us, meaning more money for the local florist delivering your order. At Direct2Florist we can count on a global network of highly-skilled local florists that use local knowledge and the best available local flowers to ensure every delivery is as good as you and the lucky recipient of the flowers deserves. 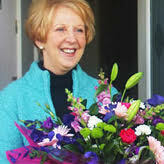 Thanks to our belief that using local florists is best, and because we connect you directly with those florists, same day delivery is available, even when sending flowers to the other side of the world. 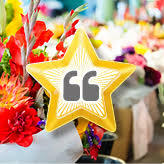 When selecting the florist that will deliver your flowers, you can read real customer reviews and see how other florists have rated that florist in the past. 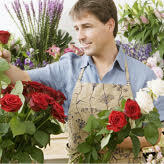 That means you can order with confidence, knowing that your florist has consistently pleased customers in the past. It's about giving you he control when sending flowers. 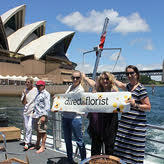 With Direct2Florist, 100% of the money you pay for your flowers goes to your chosen florist - guaranteed. 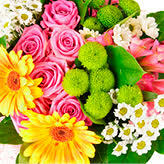 More money for flowers means bigger bouquets, more blooms and happier customers.